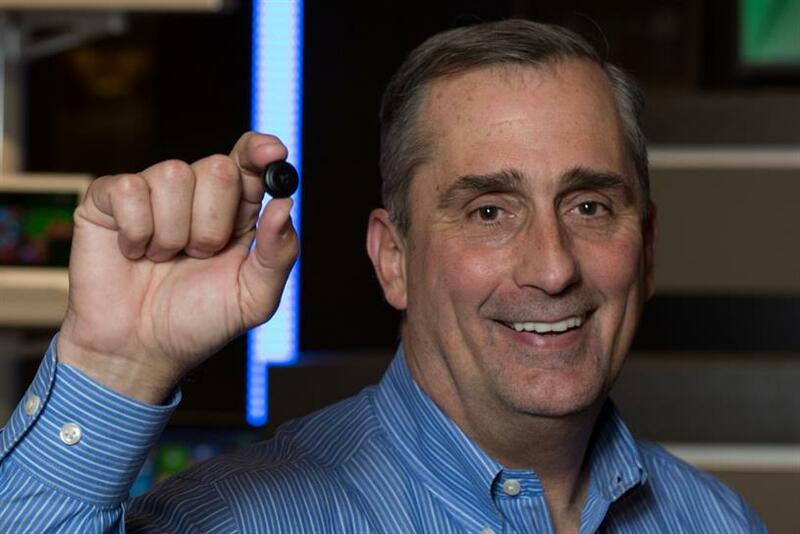 Intel CEO Brian Krzanich holds a wearable-tech prototype. LAS VEGAS — Intel aims to "change the industry for the better" by investing $300 million in a diversity scheme to better represent women and people from under-represented minorities across its entire workforce. Brian Krzanich, CEO of Intel, used his hotly anticipated keynote speech at CES International on Tuesday to dial up the importance of diversity and inclusion in technology. "This is a relevant issue and one that we all need to address," he said. "It is time to step up and do more. It is not good enough to say, ‘We value diversity’ and then not have a workplace that reflects the talent pool of women and under-represented minorities." He said a confluence of events has brought this issue to the center stage, such as gender harassment in the gaming world and the publication of hiring data and diversity statistics in the tech industry. Following Intel’s conflict-free minerals pledge announced at CES last year, the company's new goal — to which leaders’ salaries are tied — is to have women and under-represented minorities across the workforce by 2020, including more balanced representation in senior leadership positions. Krzanich’s pledge has significance for marketers, since this move is an example of a wider corporate trend of businesses looking to drive greater transparency and build purpose into their operations. Marketers have a key role in driving this agenda. The majority of Krzanich’s keynote was dedicated to outlining the future of computing, which he broke down into three categories: computing unleashed; intelligence everywhere; and the wearable revolution. Krzanich declared that 2015 is going to be the biggest, in terms of changes in consumer technology, since Intel launched the Pentium processor 20 years ago. "I feel we are at the beginning of something big, new and exciting. Two thousand fifteen is a truly unique year, and the beginning of the next technology consumer wave." To explain the computing innovations in store for 2015, Krzanich treated the audience to a flamboyant array of live tech demonstrations — and thankfully there were no major hiccups, as it often the case at tech events. Computing unleashed: ushering computing in the 3D world. Technology includes voice and gestured controlled computers, and wireless computing including wireless charging. For example, he demoed a new security system that unlock the owner’s home using facial recognition technology. Intelligence everywhere: Using drones and robots, Krzanich showed how technologies equipped with Intel’s Realsense 3D cameras could make these technologies more intuitive and therefore help people’s daily lives. He also played a "game of drones" that involved flying the devices through an obstacle course in the auditorium. Wearable revolution: Krzanich showcased a wearable piece of hardware the size of a button and also unvealed a partnership with eyewear brand Oakley.